More than half of all new HIV infections worldwide are among young people under the age of 30(WHO2018). Young people are most vulnerable to HIV infection because of lack of information, access to prevention, education, and services necessary to protect themselves from infection. The vast majority of young people living with HIV lacks access to affordable treatment, support and care. 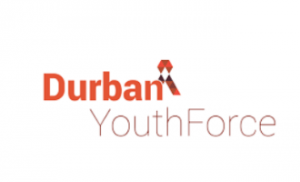 After the 2000 International AIDS Conference in Durban (AIDS2000), where there was only a handful of young people (under the age of 26) in attendance; a response was created to address the lack of young people, and the Youth Force was launched. Since the Barcelona International AIDS Conference in 2002, the Youth Programme and YouthForce have served as the collaborative mechanism for young people, organizing and mobilizing youth leaders and ensuring their access to key government and civil society leaders. Through this co-ordination, youth voices are heard, programs and research that affect youth are discussed and evaluated, influential adults are rallied to support youth-led programming, and international commitments favorable to youth are made and organizations are held accountable. This programme has since grown exponentially between 2002-2012. 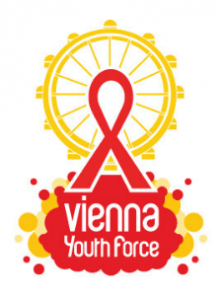 During the 2012 IAC over 200 people from around the world made up the YouthForce, and the collaborative organization remains the driving force behind the messaging on programming and policy changes needed to win the fight against AIDS. 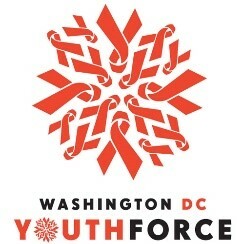 Over the years, more than 3,500 young people have participated in YouthForce representing over 35 international organizations and 90 different countries. 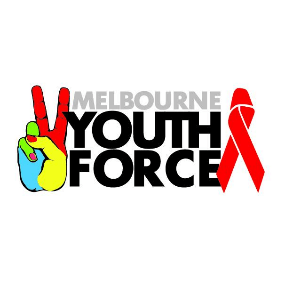 Between 2014 and the upcoming International AIDS conference there has been a change in leadership, as any age restricted programming does, and a new and more locally focused coordination of the YouthForce has emerged. This is comprised of a more regionally and city based collaboration of young people working to create the next phase of this movement. Leadership has no age limits; this is the ultimate reason to support youth participation. Young people are assets in the fight against AIDS, and their voices must be heard. Youth involvement builds identity, confidence and skills that leaders in this movement need to be effective agents of change. When young people can identify main issues of primary concern for them and are empowered to develop, implement and manage youth-owned strategies to address those issues; real change will take place. These skills often lead to the creation of organizations and advocating for inclusion in the focus of multilaterals. Many of the current staff and experts working in HIV globally are young people who came though the the Youth Force at the IAC, and have skills that would have been difficult to gain elsewhere. Meaningful Participation: The Inclusion of young people at the IAC supports meaningful participation, integration and inclusion of youth throughout all levels of the conference.This allows young people to be change makers rather than being tokenized. Through the efforts of youth sitting on conference committees and on the Conference Coordinating Committee, allows further support in regard to meaningful participation on panels, in skills building workshops, forums, non-abstract sessions, abstract sessions, as moderators and presenters, and ensure the visibility and participation of youth throughout the conference Cultural Programme and Global Village. A detailed Roadmap for Youth will be created and distributed closer to the date of the IAC by youth-serving communities. The continued support of meaningful participation of young people by the International AIDS Conference, International AIDS Society, civil society organizations and governments creates a mainstreamed, active role for youth to empower themselves; and through themselves the movement. Young participants effectively utilize knowledge and skills gained at the IAC in their communities after the conference. They contribute to the skills, knowledge, and best practices shared by older participants at the IAC, and that they successfully create youth-adult partnerships that live on beyond the event. The Amsterdam Youth Force seeks to represent youth perspectives during the AIDS 2018 conference. They aim to be the driving force behind an inclusive and meaningful youth programme that will represent young voices from around the world. 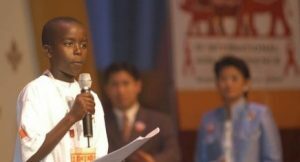 As part of the Global Village, youth have submitted their own to the selection process and the programming demonstrates the work and struggles of young people worldwide. 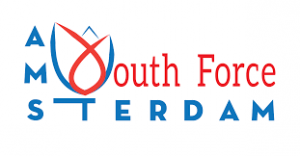 The Amsterdam YouthForce will also host the 7th Youth Pre-Conference (this year not an official affiliated event of the IAC) from July 20th-22nd in collaboration with Y+. The aim is to empower young people by providing a stage for youth across borders to speak, teach and learn the necessary skills; relax without asking permission and therefore claiming their own space and power. The Youth Pre-conference fuses science, activism, arts, networking and entertainment. 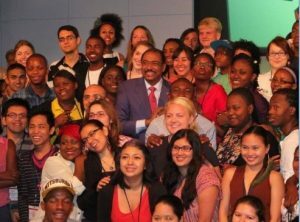 It is a place where scientists, activists, youth from key and vulnerable populations and youth that wants to teach and learn about HIV meet other youth who share the same passion and interests.